I'm not completely done with the book, but since it has no reviews and I'm 75% through it in only 2 days and with each chapter standing on it's own, I think I can give a fair review. 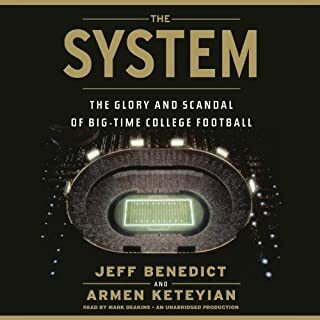 This book is great, For college football fans, all the characters, programs and games will be familiar, but the insight and the step by step, blow by blow behind the scenes reporting will have you engrossed. Each chapter stands on its own and generally follows a character giving you their perspective as it relates to college football. I particularly enjoyed the chapters on Mike Leach. The narration is overall solid, its doesn't add or take away. Each chapter is about 30-45 minutes. Military, war, and detailed audio books are often difficult to listen to verses read due to the amount of names and place that are sometimes hard to keep track of without being able to reference in print, however for Blacks Hearts listening does not take away from it's powerful account of this tragedy in Iraq. My respect for those that served in this book could not be higher. Frederick states in the prologue something to the effect that there were " good leaders that had bad days, and bad leaders that had good days." And that this account was not an indictment against the leaders decisions that ultimately resulted in this horrific war crime, and it is not, yet does not absolve guilt either. 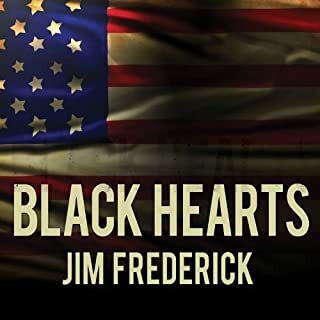 Black Hearts, is a harrowing tale of war and the impossible situations that leaders and soldiers on the ground experienced. Which unfortunately resulted in, while not unprecedented a preventable war crime. 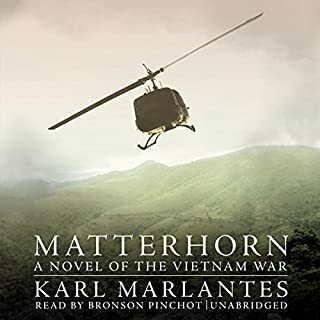 If you want to know what you're getting into with this book, imagine Karl Marlantes' novel on Vietnam "Matterhorn" meets Joseph Conrad's "Heart of Darkness", set in the worst location and time during the Iraq war and sadly nothing about is fiction. I highly recommend this book, but warn it pack a punch. I would recommend this book to anyone who has any interest in technology and/or business. 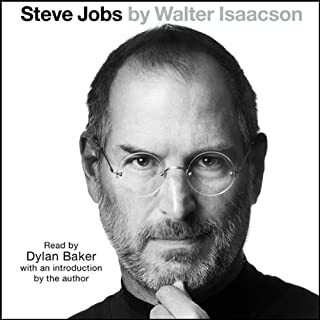 Jobs is a fascinating character, his life, accomplishments, and mad scientist persona along with the rise of the information age are laid out in this intriguing and well written biography. The narration is average and I did not like it at first, but it's a biography so the reading does not really make or break it. It was well worth the credit, I was disappointed when it ended because I enjoyed it so much. If you like good literature, get this novel. I found it very powerful. It gripped me and I find I cannot shake the feeling it left me with. It made me feel the same way I felt after I finished Slaughter House Five and I would say the writing is almost on the same level. It is one of the best war novels ever written. Geoff Emerick was only 15 years old when he began working with the Beatles as assistant engineer for their early classics "I Want to Hold Your Hand" and "She Loves You". Incredibly, at the age of 19, he was promoted to full engineer, taking the helm for the group's groundbreaking album Revolver. Ten months later, he joined forces with the Beatles for the recording of Sgt. Pepper's Lonely Hearts Club Band, hailed by Rolling Stone as the greatest album ever made. 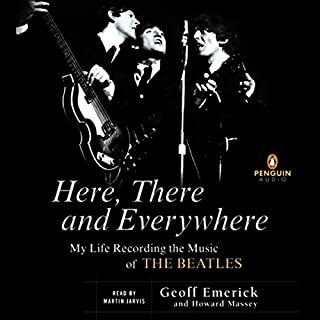 A must read for any Beatles fan. It is an insiders account from inside the studio for a majority of the recordings produced. It provides an in studio look at the groups interpersonal behavior that has not been well written about. It goes album by album song by song and tells how it came to be from the sound engineer's perspective. As a Beatles fan I could not stop listening.